Though the governing body has deemed only three cities—not including Baghdad—safe enough to host games, many in the Middle Eastern nation see the move as a symbol of its security progress. 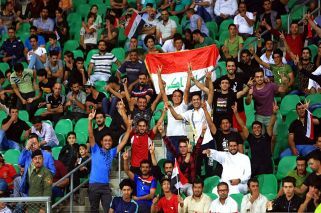 Iraqi football fans are celebrating the lifting of FIFA's three decade ban on their country holding international competitions as the southern city of Basra prepares to host a friendly match with Qatar on Wednesday. 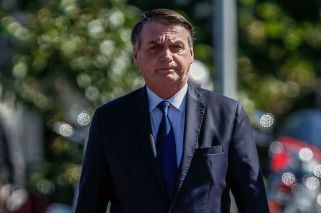 The sport’s international governing body lifted the ban last Friday, allowing the Iraqi cities of Basra, Karbala and Irbil to host full international games and competitions for the first time since the 1990 invasion of Kuwait. Even while the ban was in place, Iraq was still allowed, since 2017, to host friendly matches and tournaments—such as three-nation face-off between Iraq, Qatar and Syria slated to begin Wednesday evening. Basra, Karbala and Irbil are considered the safest cities in Iraq. FIFA did not permit games to be held in the Iraqi capital, Baghdad, which still sees frequent militant attacks. Iraq's minister of youth and sports, Abdul-Hussein Abtan, congratulated the Iraqi people on Monday, following FIFA's move, and said it would change how Iraq is viewed in the region and beyond. Iraqi fans posted celebratory videos to the minister's Facebook page, praising FIFA's decision. Iraqi Prime Minister Haider al-Abadi said the lifting of the ban "was the result of stability, security and successes achieved by Iraq in all fields," according to a statement from his office on Friday. FIFA's temporarily lifted its 1990 ban in 2011, but after a power outage interrupted a match between Iraq and Jordan, it was re-imposed. FIFA's decision also follows Iraq's declaration of victory over the Islamic State group. After more than three years of war against IS, Iraq—closely backed by a US-led coalition and with support from Iran—retook nearly all the territory extremists once held in the country and declared victory over the group late last year. Iraq hosted a successful friendly against Saudi Arabia in February which Iraq won 4-1. Following the game, Saudi Arabia offered to build a football stadium in Baghdad with the capacity to seat more than 100,000 people.